In an earlier post I mentioned a Facebook baseball collector group I belong to. 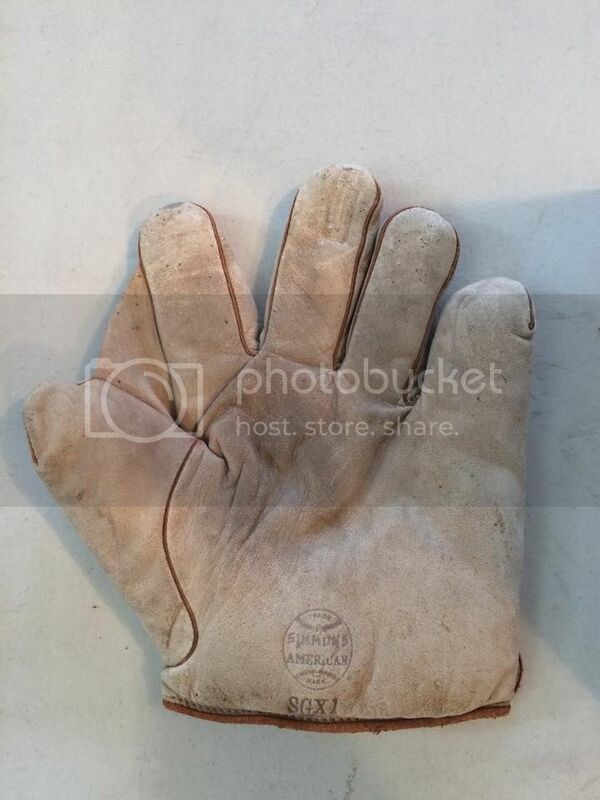 Here's another recent glove that was posted there. 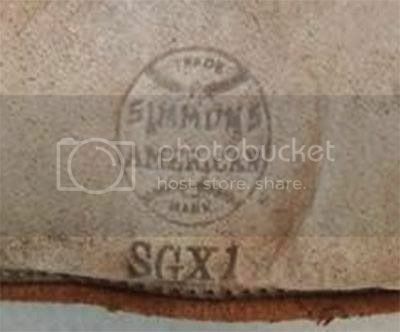 Very clean Simmons Hardware fielder's glove. 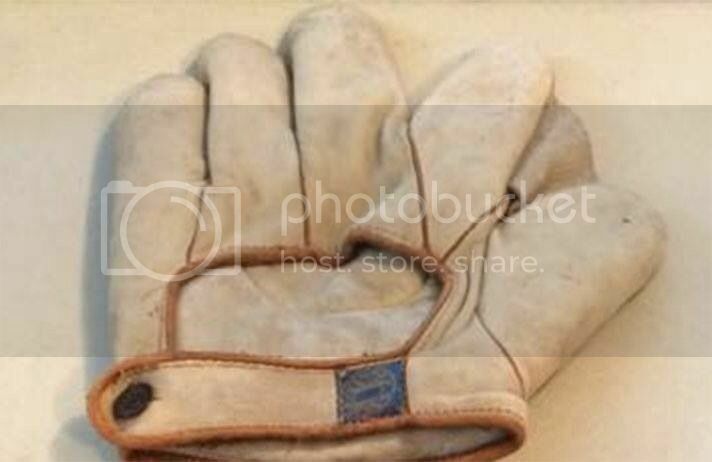 The guy who posted it had no idea what he had other than "an old baseball glove". Kind of keeps up the hope that there are still hidden treasures to be found in the hobby!